Am I glad I didn’t live in Babylonia four thousand years ago. There the New Year celebration lasted eleven days. One is bad enough. 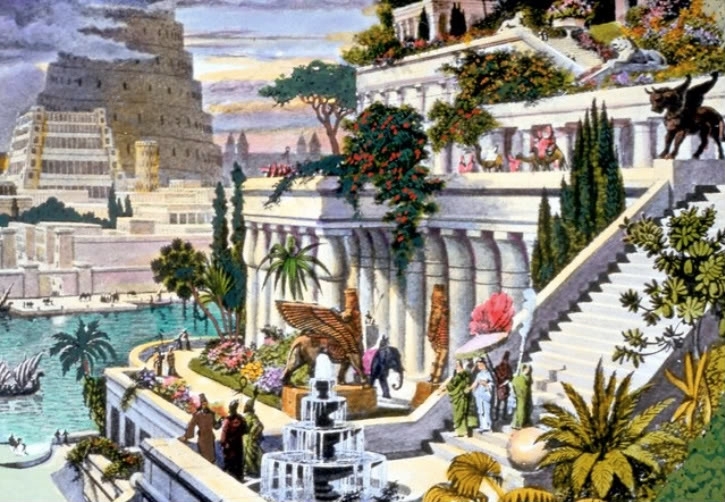 By the eleventh day, the Babylonians must have had prodigious hangovers. They probably weren’t even fully conscious for the first month of the new year. That’s not for me. It would mean missing all those great post-holiday sales. When I was young, I hated New Year’s — the whole shebang, beginning with New Year’s Eve. The forced gaiety. The pressure to be HAPPY! It was all so depressing. The worst part was that if I didn’t have a date for New Year’s Eve, it cast a pall on the next twelve months. One year, to avoid the social ignominy of being dateless on the Big Night, a girl friend and I fled to Manhattan to mingle with the throngs in Times Square so no one could tell that we were unescorted. No one, that is, except a couple of sleazy characters who latched onto us and tried to entice us back to their pad to “start the new year off with a bang.” Did we really look that desperate? When we adamantly refused, a drunk who had been eavesdropping berated us for “spoiling the boys’ new year.” Give me a break! That was even more disheartening than being home with the old folks watching Guy Lombardo on TV. Now that I’m an “old folk,” I miss Guy Lombardo; and I don’t hate New Year’s Eve any more because I no longer feel pressured to party. Instead, I can go to bed early and sleep through the countdown. It’s wonderful! And why would I think that taking a new pledge to hike three miles a day is going to work when it never did before? It’s too cold to go out and walk anyway. It’s January in New England, for heaven’s sake! I’ll start in April when it warms up a bit. Or maybe not. What would be the point? I would have already blown three months. Don’t look at me like that. I know I really must cut down on sweets and ramp up my exercise. And I will. But making a resolution on January 1 and then giving up completely the first time I weaken isn’t going to do it. Eating a hunk of cheesecake and foregoing the mall walk on January 2 should not give me an excuse to stuff myself and flop on the couch every day for the rest of the year.